Most jobs in Teamable are automatically added via your ATS integration. You also have the option of adding a new job manually. From Recruiter>Current Jobs, scroll to the bottom of the page and click on 'Create Job'. The required fields will contain a red asterisk. 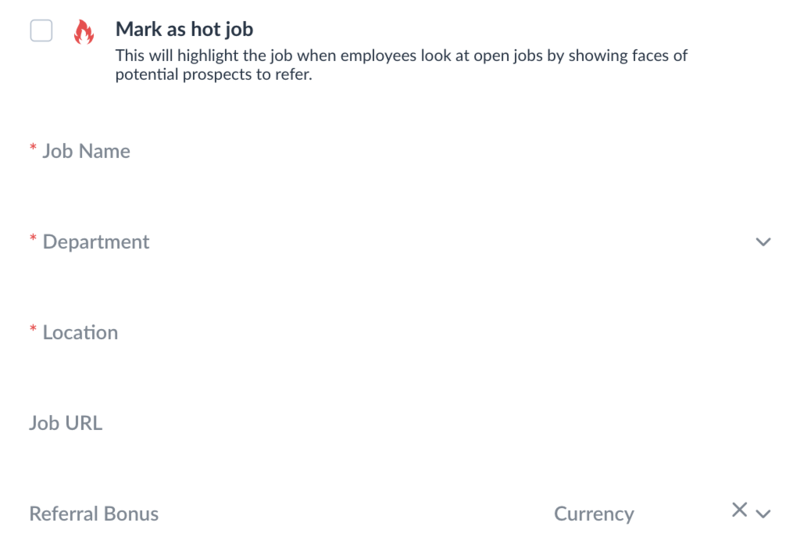 Enter the Job URL - this will allow Teamable to keep track of whether your prospects are engaged enough by the potential opportunity to click through to read more about the position. Choose Referral Bonus if any and denomination. 9. Determine the job owners. By default the job owner will be CC'd on any outbound messaging sent to any prospects for the job by employees. 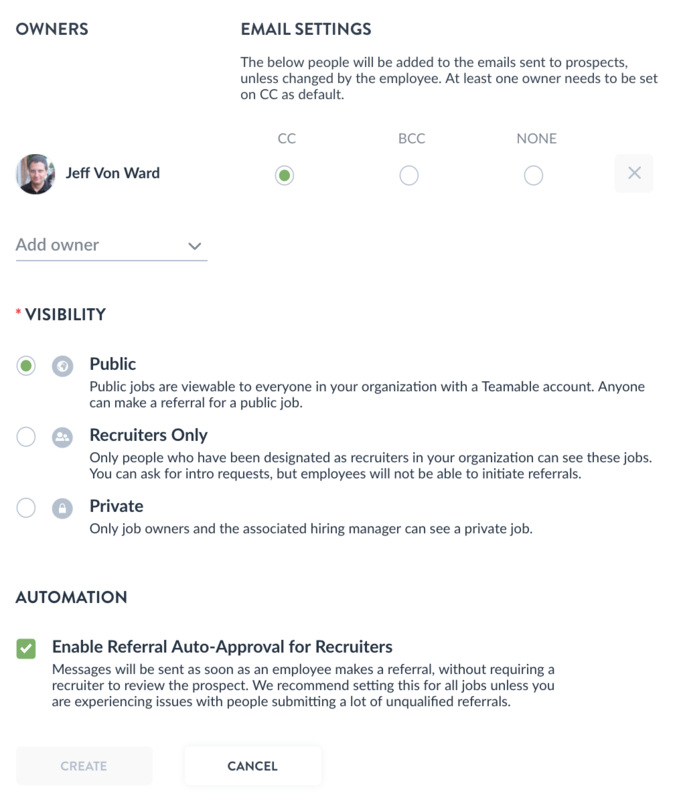 You can change to BCC or NONE and you can add additional job owners, for example a hiring manager. 10. Set the visibility. By default the job is viewable by everyone in the organization. 11. Enable Auto-Approval. This option allows employees' self-selected matches to be messaged about any opening with the template you've provided automatically. It can be turned on or off for any job at the company. Click 'Create' to save the job.